Roses are my all-time favorite flower because they're so beautiful, they smell wonderful, and are amazing for the skin! 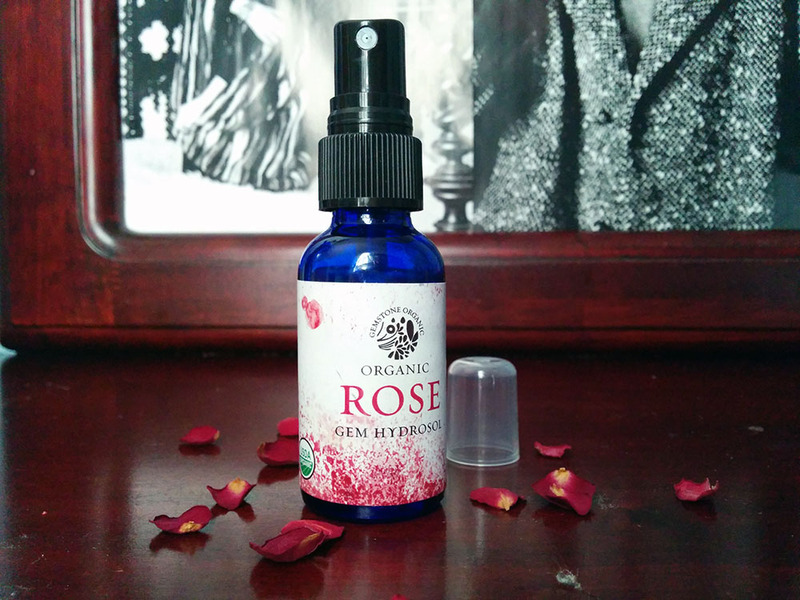 I love making my own rosewater but I ran out and really missed using it so when I came across this Gemstone Organic rose hydosol I had to give it a try. I'm so glad I did because I absolutely love it! First of all, it smells fantastic, just like a fresh rose! And it's super refreshing, soothing, and helps balance my skin. Plus it has cute little quartz crystals inside- so cool! I think their prices are really great for the quality of the product too. I'm looking forward to trying out more of their products soon. Next I want to try out their helichrysum hydrosol but currently it's sold out.